As the lifeblood of your business, data must be easily available in the cloud to boost your agility and ability to innovate, but easy accessibility must be balanced with protection to ensure maximum business value. As more and more businesses adopt cloud services, seizing on the latest software tools and development methodologies, the lines between them are blurring. What really distinguishes one business from the next is its data. Much of the intrinsic value of a business resides in its data, but we’re not just talking about customer and product data, there’s also supply chain data, competitor data, and many other types of information that might fall under the big data umbrella. Beyond that there are a multitude of smaller pieces of data, from employee records to HVAC system logins, that are rarely considered, but are necessary for the smooth running of any organization. And don’t forget about source code. Your developers are using cloud-based repositories for version control of application code. It also needs to be protected. In the past, companies would typically try to centralize their data and lock it safely away in an impenetrable vault, but hoarding data doesn’t allow you to extract value from it. Data gains business value when it’s transported from place to place as needed and available to be leveraged, not locked away in some dark place. People need swift, easy access to data and real-time analysis to make innovative leaps, achieve operational excellence and gain that all-important competitive edge. As the importance of data has grown clearer many businesses have been stockpiling as much of it as they can get their hands on with the idea that the value will come along later. Businesses grow organically, so new systems and software are adopted, mergers and acquisitions prompt integrations and migrations, and new devices and endpoints are added to networks all the time. Even the most organized of businesses inevitably ends up with a complex structure and data that’s distributed globally. Another layer that exacerbates this problem is people. Sometimes your employees will show poor judgement. They may unexpectedly wipe out critical data or accidentally delete configuration files. Disgruntled employees may even do these things deliberately. Then you must consider all the employees and contractors working for your partners and vendors, who often have access to your business-critical data. 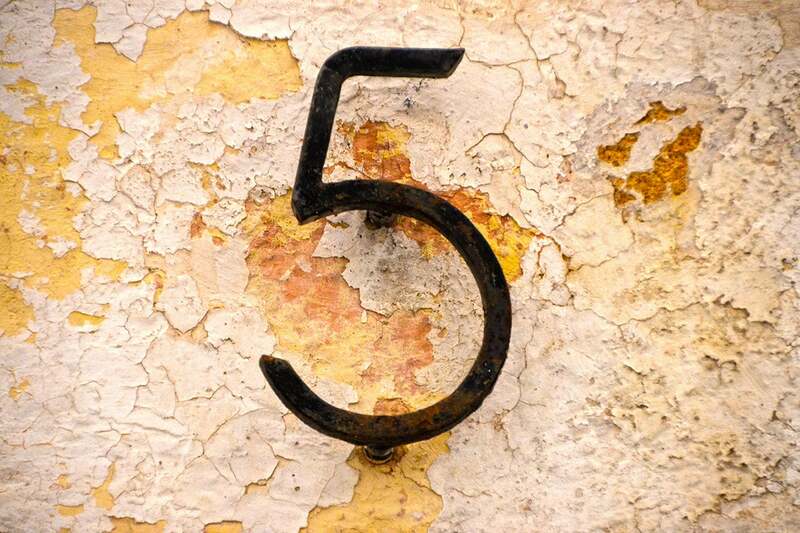 To effectively manage your data without shuttering it and blocking legitimate requests for access, you need a solid cloud data management strategy and that begins with five important considerations. Most of the time data sits in storage. It’s often behind firewalls and other layers of security, which it should be, but it’s also vital to ensure that your data is encrypted. It should be encrypted all the time, even when you think it’s safely tucked up in your vault. If you properly protect your data at rest by encrypting it, then anyone stealing it will end up with lines of garbled junk that they can’t decipher. You may think it’s unlikely a cybercriminal will breach your defenses, but what about a motivated insider with malicious intent or even a careless intern? Hackers most common point of penetration is actually your employees’ devices, whereby they gain a foothold that can be leveraged to go deeper into your networks. Encrypt everything and take proper precautions to restrict access to the decryption key. It’s very important that your employees can access the data they need to do their jobs whenever and wherever they want, but access must also be controlled. Start by analyzing which people need access to what data and create tailored access rights and controls that restrict unnecessary access. Any person requesting access to data must be authenticated and every data transaction should be recorded so you can audit later if necessary. Active Directory is the most common place to manage and control such access today. Access control should also scan the requesting device to ensure it’s secure and doesn’t harbor any malware or viruses. Analyzing behavior to see if the user or device requesting access falls into normal patterns of use can also be a great way of highlighting nefarious activity. It’s crucial to create a secure, authenticated and encrypted tunnel between the authenticated user and device and the data they’re requesting. You want to make the data transfer as swift and painless as possible for the end user, but without comprising security. Make sure data remains encrypted in transit, so no interceptor can read it. Choosing the right firewalls and virtual private network (VPN) services is vital. You may also want to compartmentalize endpoints to keep data safely siloed or employ virtualization to ensure it doesn’t reside on insecure devices. There’s no doubt that most companies focus their data protection efforts here and it is important, but don’t focus on data in transit to the detriment of other areas. When the data arrives at its destination you want to be certain that it is authentic and hasn’t been tampered with. Can you prove data integrity? Do you have a clear audit trail? This is key to effectively managing data and reducing the risk of any breach or infection. Phishing attacks often show up in the inbox as genuine data to fool people into clicking somewhere they shouldn’t and downloading malware that bypasses your carefully constructed defenses. Even with the first four pillars solidly implemented, things can and do go sideways from time to time when least expected. Most companies recognize the importance of proper backup hygiene today and have implemented backup and recovery processes. Be sure to actually test and validate your ability to restore the backups and recover periodically. In the cloud, there’s another critical area to carefully consider. Be careful not to put all your data eggs in one basket. Do not store your backups in the same cloud account where your production data resides. That’s a formula for disaster you may not recover from should a hacker somehow gain access to your network and delete everything. That is, leverage multiple cloud accounts to segregate your backup data from your production data. Be certain to back up your cloud infrastructure configuration information as well, in case you ever need to rebuild it for any reason. In the unlikely event your production environment should somehow become compromised, it’s critical a copy of all backups and cloud configuration are stored separately and secured from tampering and deletion. One way to do this is to create a separate backup account (on the same cloud or different cloud) with a “write only” policy that allows backup and archival data to be written and read, but not deleted. This protects your business by ensuring your DR systems and backups will always be available should you need them to recover. By crafting a plan to cover data storage, data access, data in transit, data arrival, and defensible data backup/recovery, you’ve erected five pillars that will be strong enough to bear the load of your company data and withstand the forces which are trying to break in. But there are still many cloud data management pitfalls to avoid. Ensure that you can quickly recover from the most common issues that arise from operating in cloud environments. You can have the best products and employees in the world, but without data they are powerless, so take steps to ensure it flows freely and safely. Smart data management will empower your staff to leverage the latest cloud technologies, innovate new products and services and differentiate your organization from the competition. Rick Braddy is founder and CEO of Houston-based SoftNAS, a cloud data platform company and software-defined NAS provider. Formerly a CTO at Citrix and Group Architect at BMC Software, Braddy is a U.S. Air Force veteran with military experience in top-secret cryptographic voice and data systems at NORAD.